Do you really know who your children are messaging on WhatsApp? Do you suspect your employees are leaking classified information? 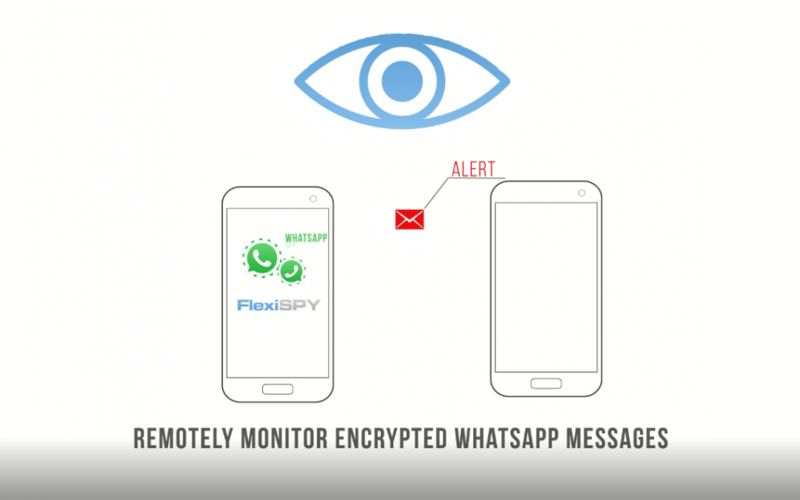 FlexiSPY’s newest video shows you how to spy on WhatsApp messages, so you never have to worry again. With more than 1 billion users across the globe, WhatsApp is the world’s most popular chat application. And while it’s incredible that today’s technology can connect so many people, it also increases the number of risks for families and businesses alike. Our video shows the dangers your children face when using this application and why knowing how to spy on WhatsApp messages can save their lives. After all, a recent increase in teen suicide has largely been attributed to cyberbullying through social media and chat applications around the world. Not to mention, online predators are finding it easier to lure adolescents into potentially life-threatening or damaging situations by hiding behind encrypted messaging and fake accounts. And as apps like WhatsApp become more secure, it is becoming more difficult for employers to keep track of employee conversations in relation to work. Perhaps a rogue member of staff is using WhatsApp to secretly share confidential details for a major project or they are sending inappropriate messages to other employees during office hours. With FlexiSPY, you’ll have confidence that your intellectual property is safe. Knowing how to spy on WhatsApp messages is an essential tool for protecting the things that matter to you most: your children, your company and even your own personal data. So why not let FlexiSPY – the world’s most powerful monitoring software – be that added layer of security that helps you sleep at night. We have created this video and our official YouTube channel with YOU in mind and would love to hear what you think. Let us know your feedback and if there are any additional features you’d like to learn about. Also, don’t forget to subscribe to our channel and blog for the latest updates, tutorials and product announcements from FlexiSPY! Blog posts contain explanations of new features, company announcements, as well as tips & tricks. Also subscribe to our newsletter to receive exclusive monthly promotions.